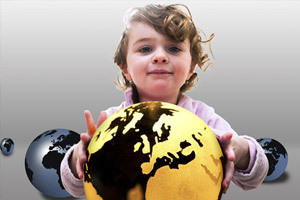 It’s never too early to start learning about the value of scrap metal recycling. Parents and teachers can expose children to the benefits or participating in programs at local scrap metal recycling centers to preserve our resources, reduce landfill waste and make money from recycling scrap metal in Massachusetts. What do people do at the local scrap metal recycling center? What happens to scrap metal once it is dropped off at the recycling center? How are scrap metal items recycled and re-used? How does recycling scrap metal benefit the local community? What are the benefits of recycling scrap metal? For children to better understand what people do at the local recycling center, the best thing to do is to schedule a field trip or bring your child with you when you sell scrap metal. Even if the only thing you do is recycle a bag of aluminum cans, the trip will be a living example of the process involved in recycling scrap metal. Many local recycling centers will allow classrooms to schedule a guided tour to help teach children the value of recycling scrap metal. Call your local center and make sure to ask about safety issues, how many children can take the tour at one time, what days of the week are better for tours and find out what the children will be able to see when they go. Before or after a visit to the local scrap metal recycling center, children should learn a bit about the process of recycling scrap metal in Massachusetts. There are a number of different methods used to break down, melt down or otherwise recycle and repurpose various scrap metal materials into brand new items. Talk about the different types of metals and where they can be found in the home. Children will enjoy looking at the various appliances, fixtures and machines in their own homes to see where valuable scrap metals come from that can be recycled. These lessons can include the science of metals, recycling them and how they can be used, but they can also include math, showing the value of recycling and how much can be earned per pound of scrap metal. In addition to melting down scrap metals to be used again in an industrial or manufacturing setting, children should learn about other ways that scrap metals are being used. This can include modern art, which uses abandoned materials to create sculptures and other 3D artwork. Other uses include re-using old or antique scrap metal items in home decorating, design or other related applications. Old metal doorknobs, for example, are a popular item, as are cupboard knobs, pulls and other fixtures. One way for children to understand the importance of recycling scrap metals is to take a trip to the local landfill. Once children understand how many old appliances, vehicles, machines and parts are dumped instead of recycled, and can see the proof of it in the piles and piles of waste at the local landfill, they will appreciate the idea of reducing waste. Talk about potential damage to groundwater and other types of pollution associated with overflowing local landfills. You can also teach about the idea of saving energy that would be used to mine, process and refine metals that are found in the earth when recycled metals are used instead. There are lots of local benefits to the community that can be incorporated into this lesson. Our nation is becoming increasingly interested in the idea of learning to preserve our natural resources. Companies and industries have been recycling and re-using scrap metal for hundreds of years. A lot of people don’t realize this and it is a great take-home lesson for students. This process not only helps to preserve our natural resources, but it also helps businesses to save money by using products that have been recycled and processed for re-use. This reduces the amount of energy that would be consumed in the processing of raw, virgin materials for the same purpose. Scrap metal recycling is an all-around win-win for everyone involved. Teaching children that local scrap metal recycling centers, such as Mid-City Scrap Iron & Salvage in Westport, Massachusetts, are an important part of the community will help them to realize their own role in scrap metal recycling. Discouraging waste and encouraging responsibility with regard to natural resources is a valuable lesson for adults and children.